This 2016 summer edition of the SDEE newsletter contains a special feature on recent scientific conferences attended by our communications committee volunteers. Conference topics included medical imaging, digital health and biotechnology entrepreneurship. Check out our Featured 2016 Conferences section to see what we learned. 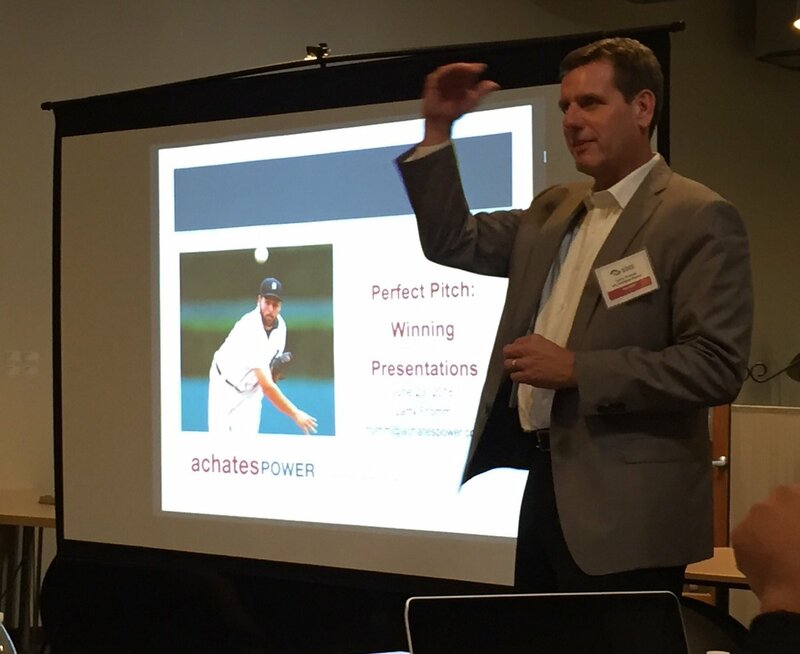 We also share investor presentation pitch tips from our speakers at the June 23, 2016 “Perfect Pitch” workshop and photo highlights from our July 12, 2016 Founder's Tales and Vendor Show. Don’t miss the Member News section where you can catch-up on the latest updates from SDEE vendor members. For more events and entrepreneur community information, please visit our SDEE website and follow us on Facebook, LinkedIn and Twitter. Enjoy! by Sylvia Norman, Founder & CEO at Molecular Diagnostics Consulting and Sandhill Crane Diagnostics, Inc.
Our Founder’s Tales event featured San Diego Biotech founders Mauro Mileni, PhD, President, CEO & Founder of Abilita Bio, Inc.; R. Scott Struthers, PhD, CEO & co-founder of Crinetics Pharmaceuticals; Joseph E. Payne, President, CEO, Chairman & Founder of Arcturus Therapeutics; and Padmanabh Chivukula, PhD, CSO, COO, Director & Founder of Arcturus Therapeutics. They gave a “no holds barred” approach to telling us what it’s really like to start a company and make it successful. Scott got his company started using creative ways to find lab resources. Mauro had the added pressure of making sure the “Friends & Family” investment he received to start Abilita, was wisely spent. Joseph and Padmanabh overcame initial mistakes and went on to build a profitable company. The event also included a vendor show by 43 SDEE members and 30 second company pitches by BioPioneer, Legal Greenhouse, Certara, and DeeAnn Visk Consulting. 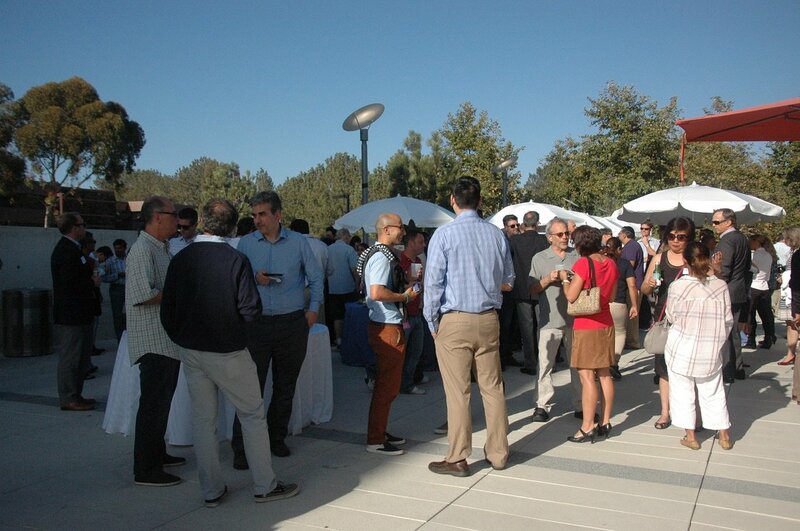 Check out our San Diego Entrepreneurs Exchange Facebook page and Twitter @sdeeorg for more photos of this fun event. A highlight of the meeting was the talk given by Robert Dannals, PhD, recipient of the Michael J. Welch Award. Dannals, professor of radiology and Director of the PET Center at Johns Hopkins School of Medicine, spent an hour regaling the audience about his exploits from the time he finished his studies to present day. BIO 2016 had a variety of industry track sessions, including pharma, biotech, digital health, global health, and clean tech. 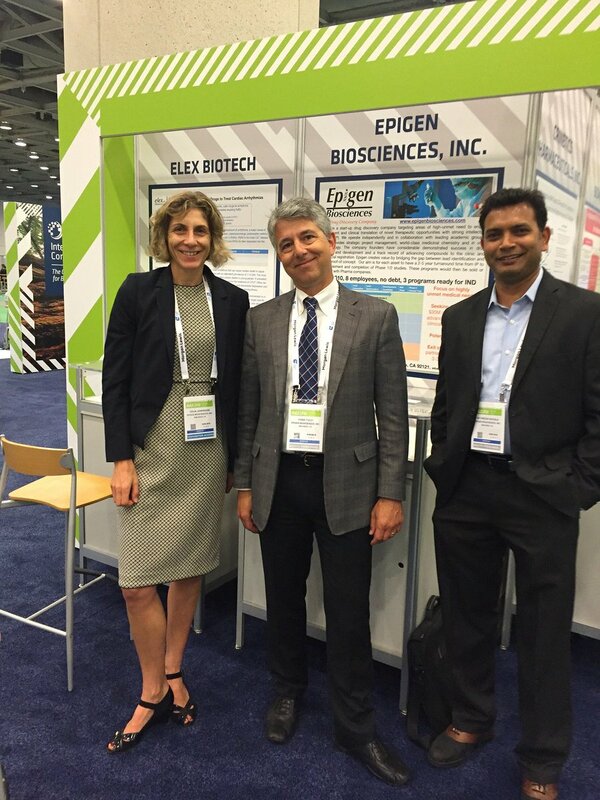 It was a pleasure to see so many SDEE members participating as BIO2016 exhibitors, speakers, and taking part in the BIO One-On-One Partnering program. 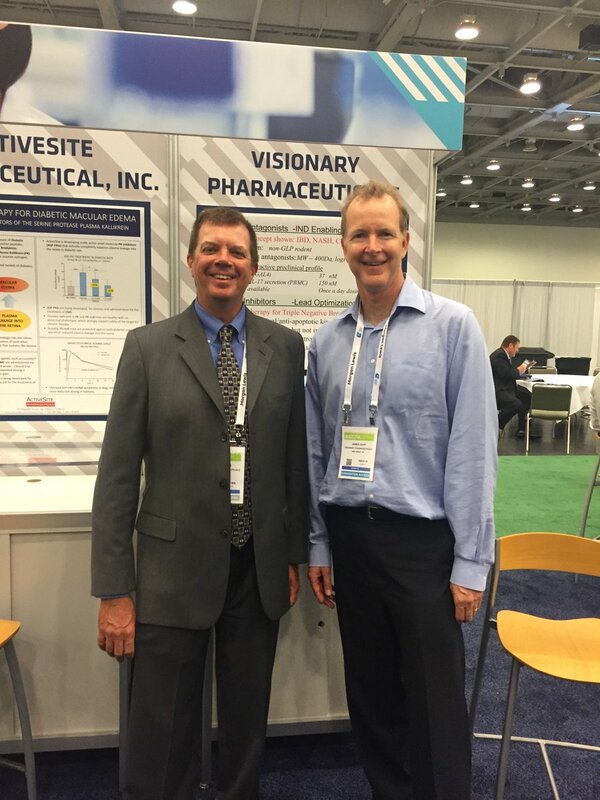 RetroVirox, Epigen Biosciences, Crinetics Pharmaceuticals, Managed Lab, Abilita Bio, and Visionary Pharmaceuticals were a some of the SDEE members attending BIO 2016. Thanks to Scott Struthers (Founder & CEO at Crinetics Pharmaceuticals and President of SDEE) for the photos. Bartone said one reason startups fail is when founders try to start a company part time, in off hours, or with no full-time employees. She said it’s hard to move a company forward this way. Looking for the best place to meet and network with San Diego entrepreneurs? Join us for our SDEE Happy Hours (3rd Thursday of every month) at New English Brewing Co., 5-7 pm. MaxCyte, Inc. (Jessica McClure Kuhar) MaxCyte® Inc., the developer and supplier of a best-in-class cell modification technology to biotechnology and pharmaceutical firms engaged in cell therapy, drug discovery and development, biomanufacturing, gene editing and immuno-oncology, is expanding their technical support team having recently brought on board Joseph Abad formerly of Agensys Inc/Astellas Pharma where he worked for the past 8 years. As a MaxCyte technology user for over 6 of those years, his background is in cell line development including generation of transient and stable CHO, HEK and other cell lines for antibody and antigen production (soluble and cell surface expression). He has spent years optimizing his mammalian culture process development working with everything from 40ml to 2L shake flasks to 50L wave bags and 50L bioreactors. 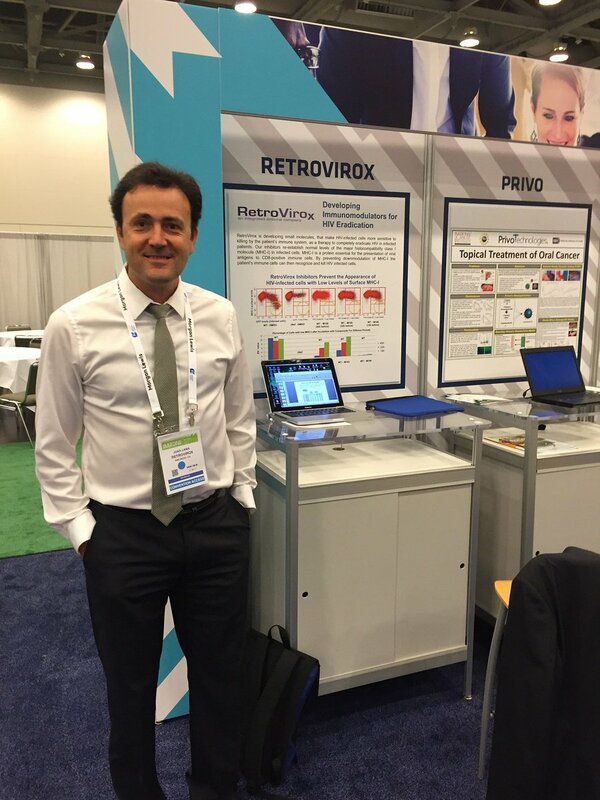 We are happy to have Joseph on the team to serve as an added resource for any transfection and PD related questions. He can be reached via email at jabad@maxcyte.com. Sustainable Surplus has been chosen to partner with the US Business Council for Sustainable Development in the launch of the San Diego Materials Marketplace . The Marketplace will create a channel for manufacturers to redistribute their raw materials and by-products of production back into the market, supporting a closed-looped economy. Four such hubs exist in the US and as a result have created new industry, jobs and revenue. 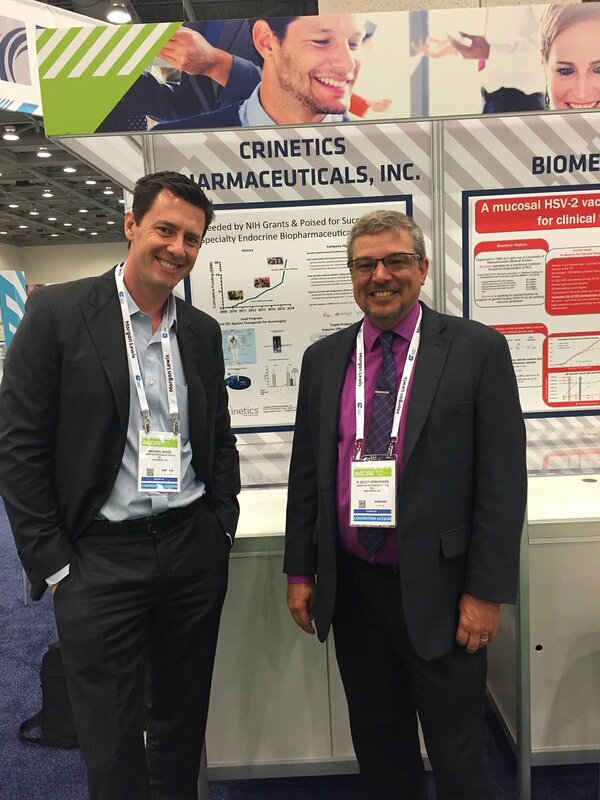 Crinetics Pharmaceuticals (President – Scott Struthers) announced the addition of Ajay Madan, PhD, DABT, as VP, Development. Dr. Madan was most recently VP of Preclinical Development at Neurocrine Biosciences Dr. Madan is an author of more than 50 scientific publications, and has been a diplomate of the American Board of Toxicology since 2005. He holds a B. Pharm. degree from the Birla Institute of Technology and a Ph.D. in pharmacology and toxicology from the University of Kansas. Big Frog (Todd Bell) recently partnered with the CW6 Morning News Team to design and print their custom printed athletic apparel for them to wear as participants in the EPIC Obstacle Course Event. Aequor (Marilyn Bruno) is presenting at the International Space Station R&D Conference in San Diegp. NASA gave us the topic: "Biofilm --The #1 Impediment to Long Duration Manned Space Travel." We will be talking abour our novel antibiofilm molecules and the experiment we will be conducting on the ISS to show their efficacy in microgravity against the pathogens contaminating water systems, etc. Charles River Laboratories (Christi Norton) Charles River has acquired WIL Research, a premier provider of safety assessment and contract development and manufacturing (CDMO) services to biopharmaceutical, agricultural, and industrial chemical companies worldwide. Acquiring WIL Research will enhance CRs position as a leading global early-stage contract research organization (CRO) by strengthening our ability to partner with global clients across the drug discovery and development continuum. This exciting expansion provides its clients with greater capacity, a deeper pool of knowledge, global facilities and more options for the conduct of studies, delivered with the same personal attention and superior service they are accustomed to. Molecular Diagnostics Consulting Founder & CEO (Sylvia Norman) had the pleasure of participating as a judge at the Women in Bio pitch challenge and CSU I-Corps entrepreneurship cohort #4 events. Our sister company (Sandhill Crane Diagnostics, Inc.) was a proud sponsor of the San Diego Startup Week bio/med sessions. Paramit (Jorg Lorscheder) June 21, 2016 – Paramit, the “zero-defect” medical device and life science contract manufacturer, today announced its acquisition of Lathrop Engineering, an instrumentation product development company specializing in medical devices and diagnostics. The move will enable Paramit to deliver unrivaled excellence in the design and manufacturing of complex medical and life sciences instruments. “Our customers tell us that we provide a better than best-in-class experience across quality, service, delivery and cost, the four most important aspects of contract manufacturing,” said Paramit Chief Executive Officer Billoo Rataul. Etaluma (Lisa Marsh) has increased its distribution channels to have an even broader global distribution presence as well as increasing our internal staffing in San Diego. This has been in tandem with the release of their new product, the Lumascope 720, their automated imaging microscope that has the added capability of live cell imaging by time lapse in your incubator. The June issue of Laboratory Equipment published an article entitled “Automated Microscopy in Hypoxic Environments: Does This Change Everything?” which highlighted an interview with Etaluma’s co-founder Brian Rasnow.